Come home from your next event with more than just an error-ridden spreadsheet. 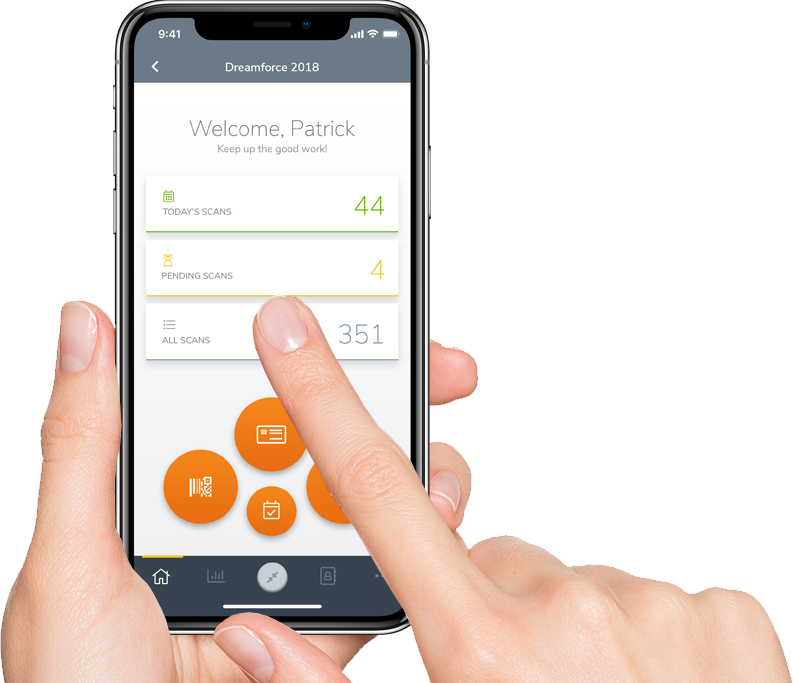 atEvent’s best-in-class technology not only captures leads at events, conferences, and tradeshows, but integrates them into your Marketing Automation and CRM systems for easy personalized follow-up in near real time. 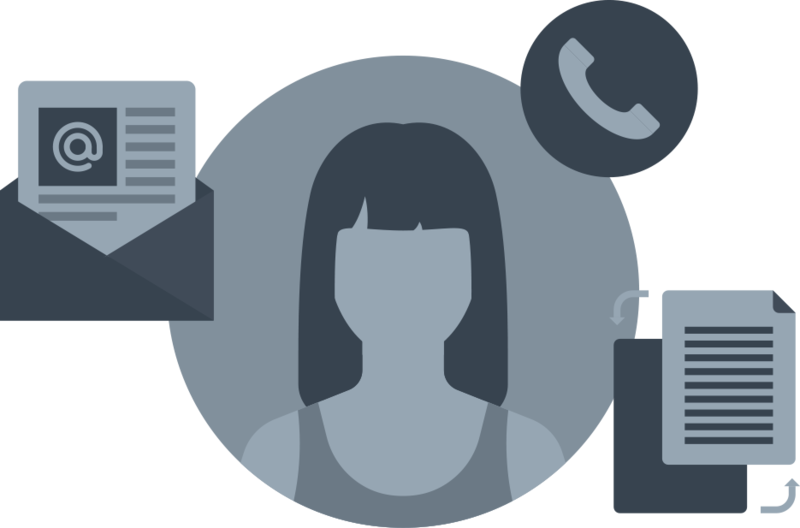 Now you can focus on conversations with your prospects, and leave the rest to us. 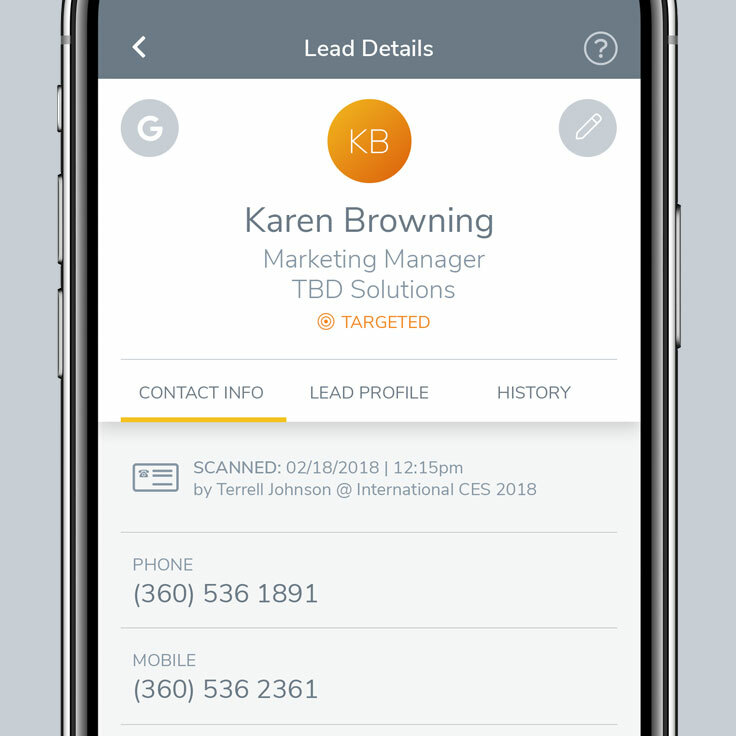 Just scan your lead’s badge or business card with your Android or iOS device, or enter their info manually, and kick off your conversation. When you’re done, finish documenting your interaction with just a few taps of your screen. And because atEvent stays on your device, you won’t waste time learning how to use a new badge scanning system at every event. 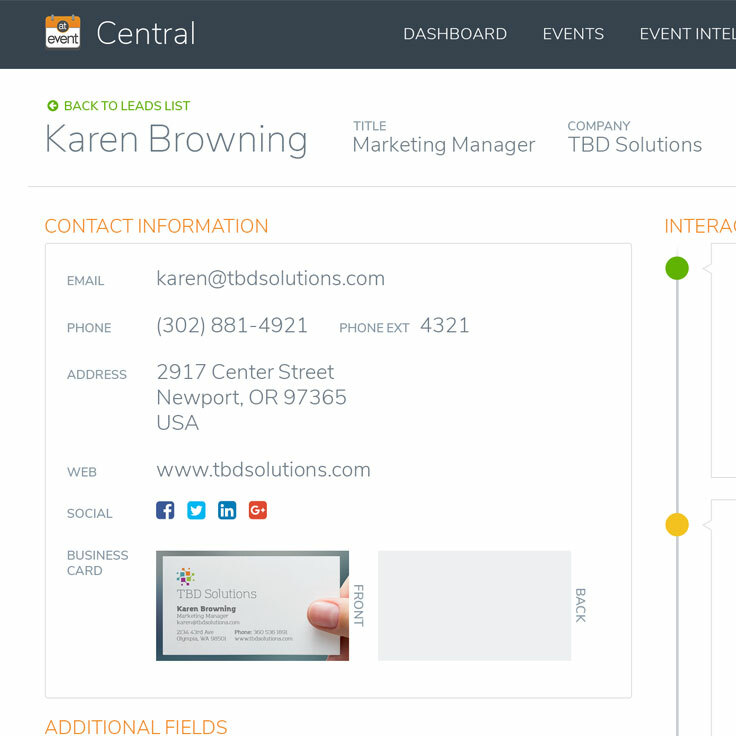 Scan attendees’ business cards or badges to accurately capture prospect contact info, add topics and qualified follow-up actions, and automatically create rich prospect interaction records in your Marketing Automation or CRM systems for near real-time nurturing. 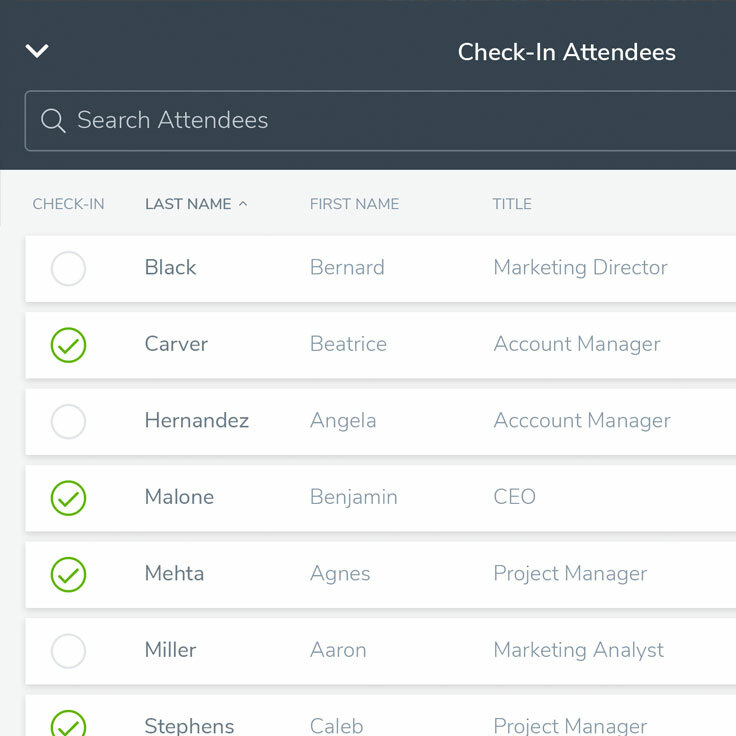 Check in event attendees who visit your booth. Pull in a list of pre-registered users via your Marketing Automation reg pages and add information from your interactions with them. Get notified when accounts check in so you can follow up. All from the palm of your hand. Contacts are great, but qualified leads are better. atEvent provides intelligence and insights directly on the device, so you know whom to follow up with first, and who could use more nurture. OK, let’s be frank. All sales managers want to know which sales reps were working at the event and who was hanging at the pool. atEvent lets you see who is cranking and who is snoozing. Getting leads from events to our sales team has been expedited significantly. What was once a 1 to 3-week process is now down to 1 to 2 days. Do you provide insights and event intelligence on the mobile device? Do you provide training for the sales team? 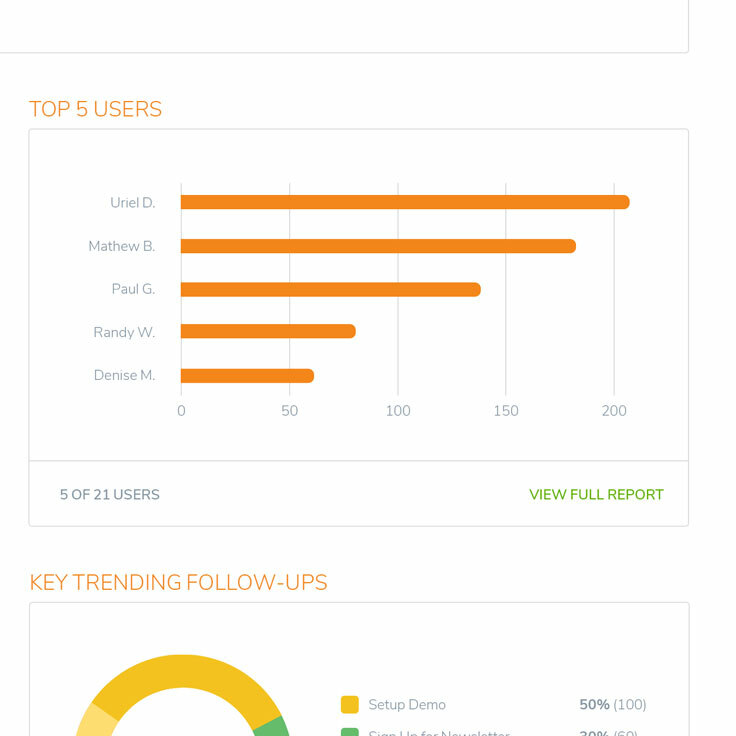 Do you have account alerts for the sales team when a customer is engaged at an event? Do you deliver account-level insights? Does your reporting support sales rep level productivity KPIs for events? (1) Yes; (2) Of course; (3) Definitely; (4) Affirmative; and (5) Unquestionably.